At the request of a few local guitarists – Dave is offering a Saturday afternoon intermediate guitar workshop exploring Atkins style guitar with afternoon tea on Saturday 23rd November from 2.00 pm to 4.30 pm. Bring a beer or some wine and your guitar – and explore the finger picking style influenced by jazz that makes this style an essential technique in the guitarists toolbox. Aimed at advanced beginner, intermediate and advancing guitarists. Dave is offering an advanced beginner/intermediate fiddle workshop on playing Irish fiddle, with tips on bowing, rhythm, ornaments and variations that make the distinctive Irish sound. Includes an afternoon tea – bring something to drink, and your fiddle and enjoy a summer afternoon of great music. Bring something to quench your summer thirst, and we’ll put on afternoon tea. 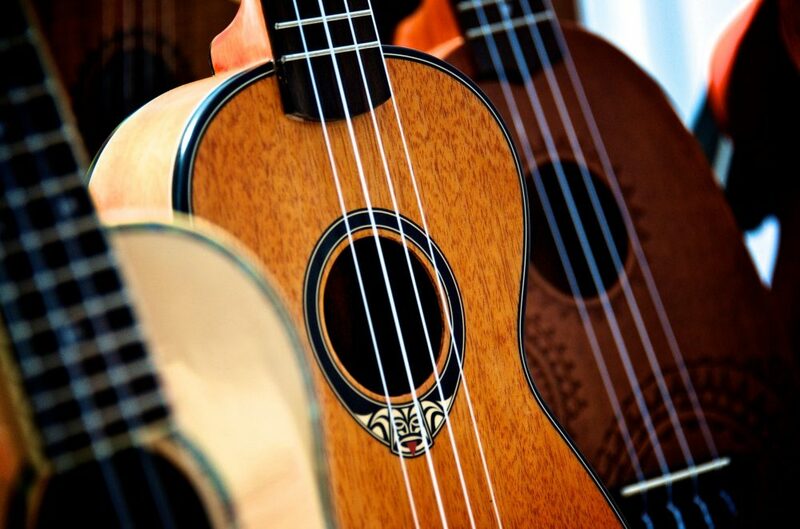 Below is a clip of a beginners ukulele workshop – a little taste of what the Saturday afternoon workshops are like.